Attack that Titan! This Attack on Titan Mikasa Step Right Up 16 oz. 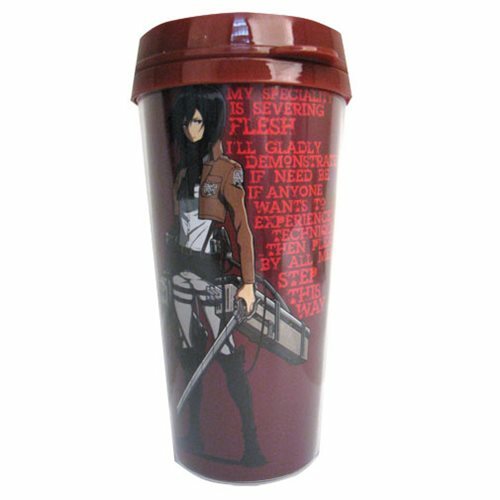 Travel Mug features an image of Mikasa Ackerman and the quote, "My specialty is lacerating flesh. Anyone interested in experiencing my skills first hand, step right up." on the side. Mug holds up to 16 ounces of liquid. Ages 14 and up.